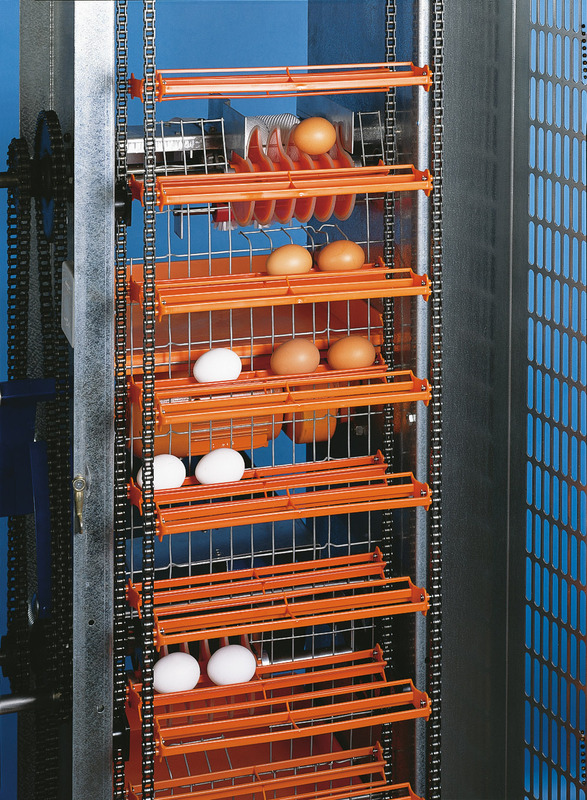 The eggs are transferred onto the elevator chain or baskets in a given pattern with the help of a dosing wheel. 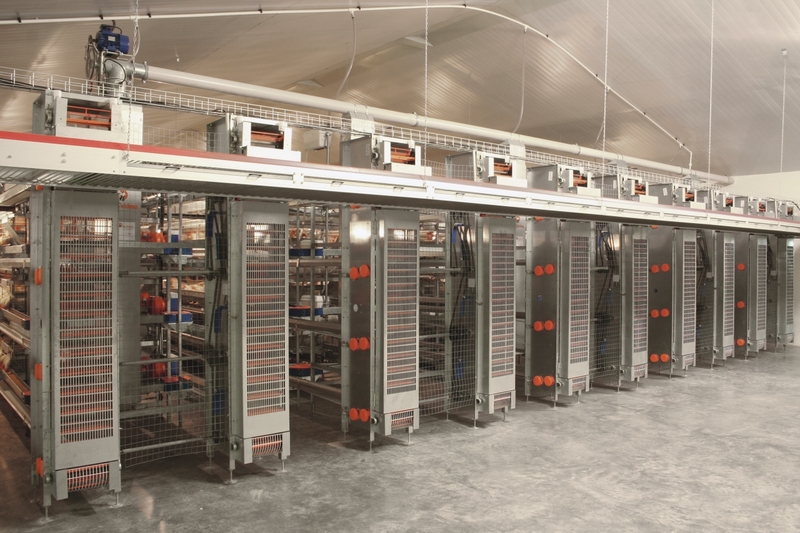 The Elevator ST can also be used to collect per row or per flock, for instance if the house contains birds of different age groups. 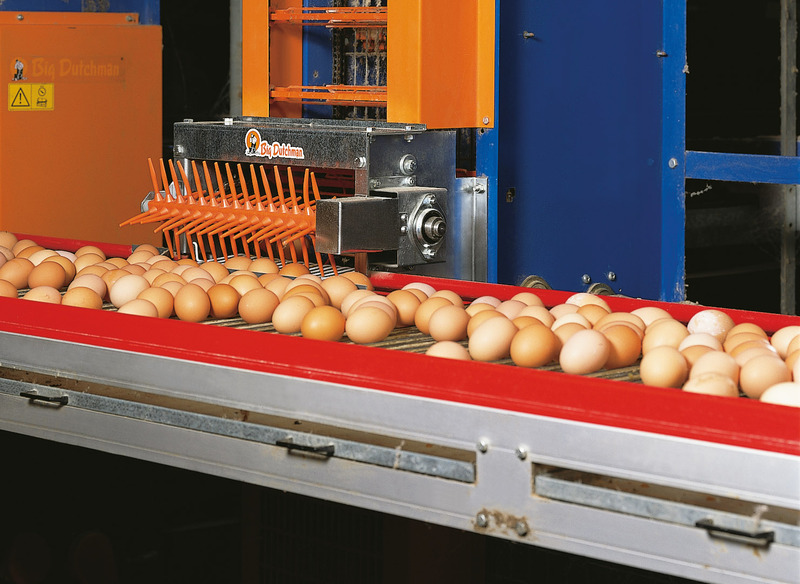 Egg Belts and elevator chains should be actuated separately to better match conveying speeds to the actual laying performance of the flock. The cross belt can be placed in any desirable height – recommended standard height is 2.10m or 82.7” to ensure adequate clearance.